I was tempted to order a bowl yesterday, but I can get build your own bowls at Asian Box, so I decided to go with a bahn mi, a Vietnamese sandwich on a baguette. I chose the grilled steak and fried egg bahn mi. All the sandwiches comes with pickles, cilantro, jalapenos, and shallot mayo, which I left off. I was worried about the pickles, but they reminded me of the pickled vegetables at Asian Box, which I really enjoy. 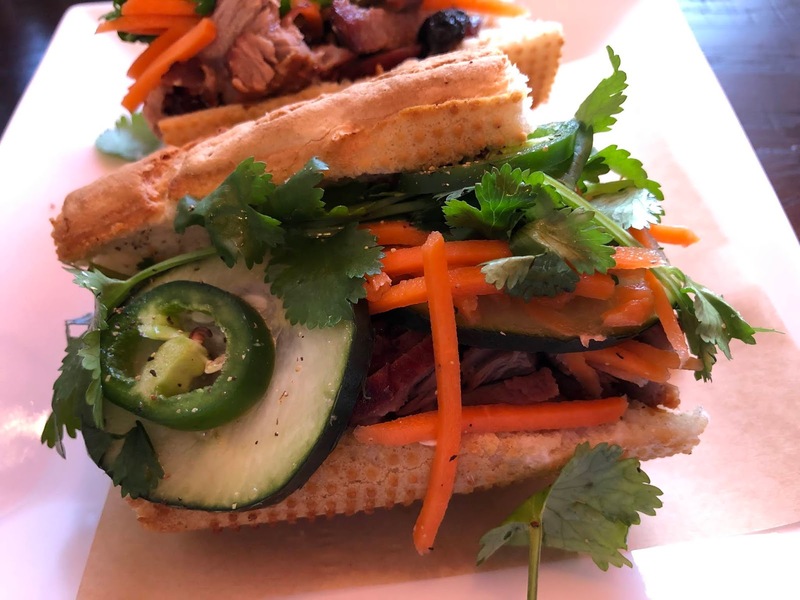 I am not much of a sandwich person, but my bahn mi was so good, my daughters and I are already planning a return visit next weekend. A gluten free sandwich can be ruined by bad bread, but that was not the case here. If I had been at a restaurant that served gluten, I would have been worried that they gave me gluten-filled bread. I loved the steak with the pickled vegetables, and it is hard to go wrong with a fried egg on a steak sandwich. 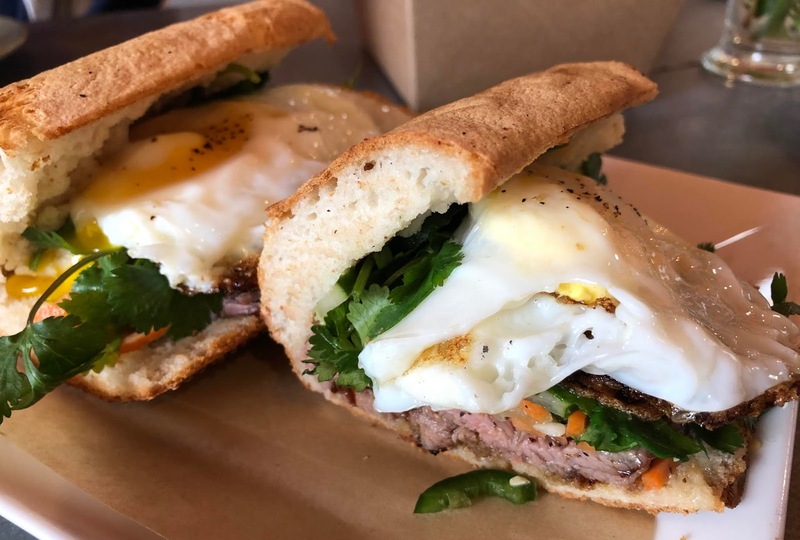 My one egg was a little bit runny, and the other one was not, but I loved both halves of my bahn mi. 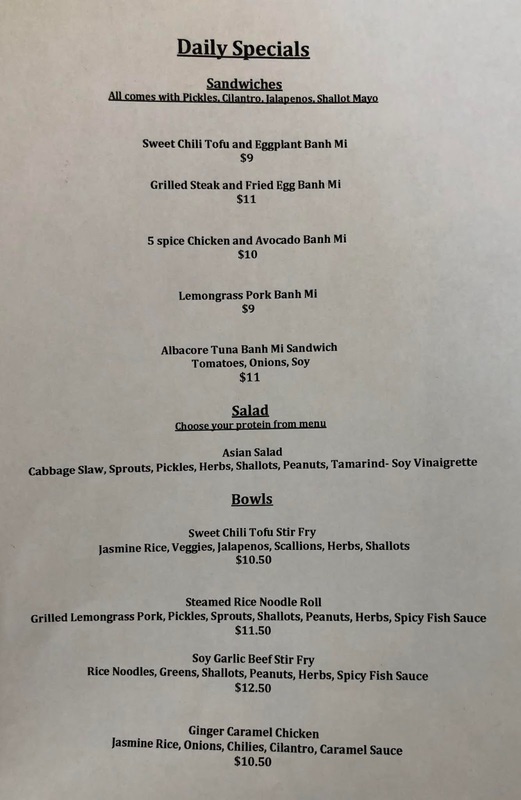 Next time, I might try the lemongrass pork, or the five spice chicken and avocado. For dessert, I had a berry fritter. 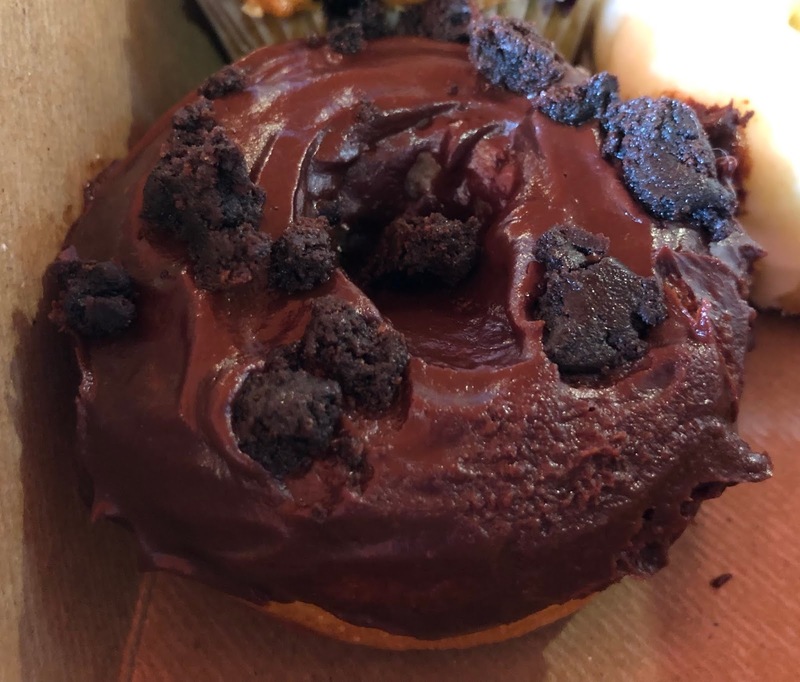 It was really delicious, and not overly sweet. It was my favorite of the baked goods I bought yesterday. I took home a box of treats to share with my family, who did not attend the event with me. 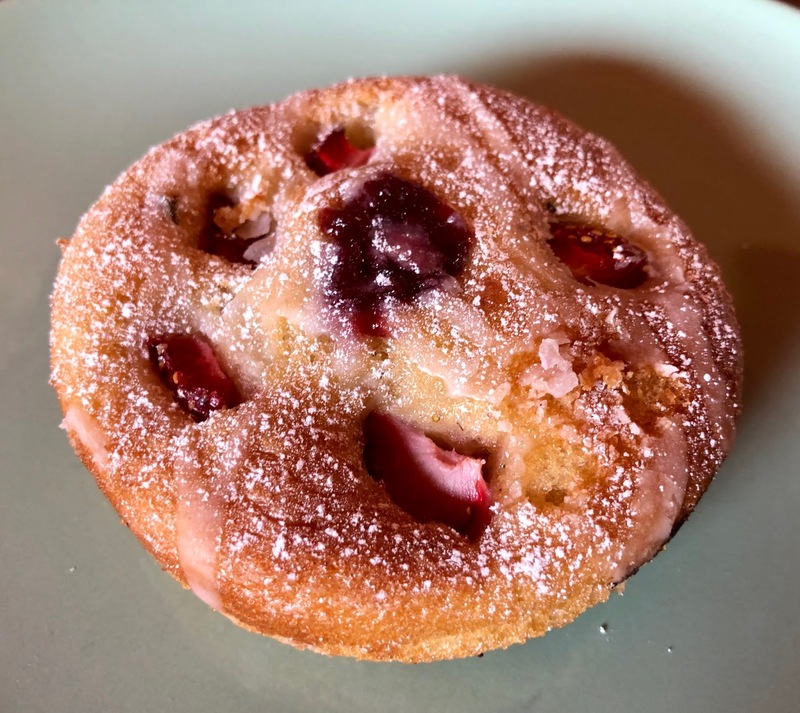 I liked everything, but the vanilla donut was my favorite of the baked goods I brought home. 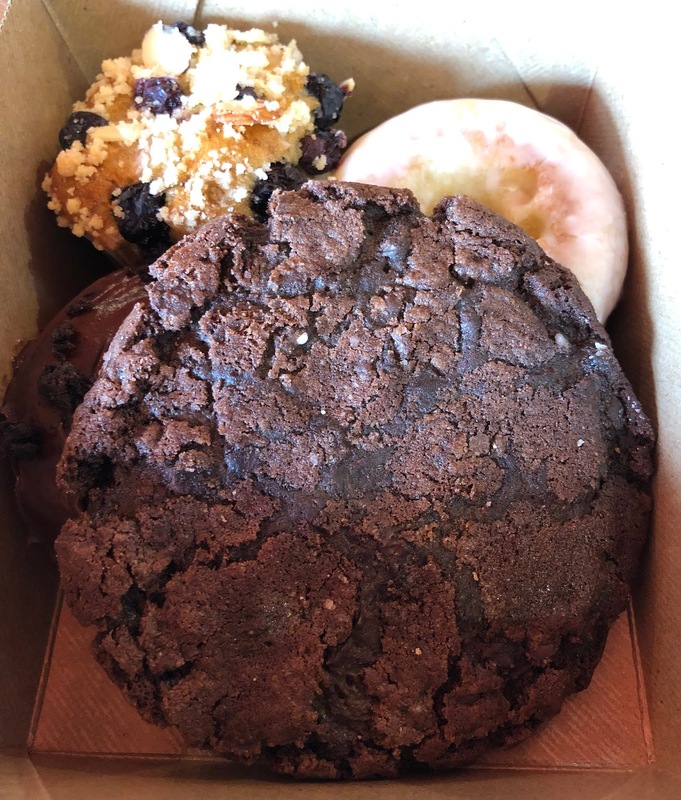 We also shared a chocolate frosted donut with cookie crumbles, a blueberry muffin, and a double chocolate sea salt cookie. 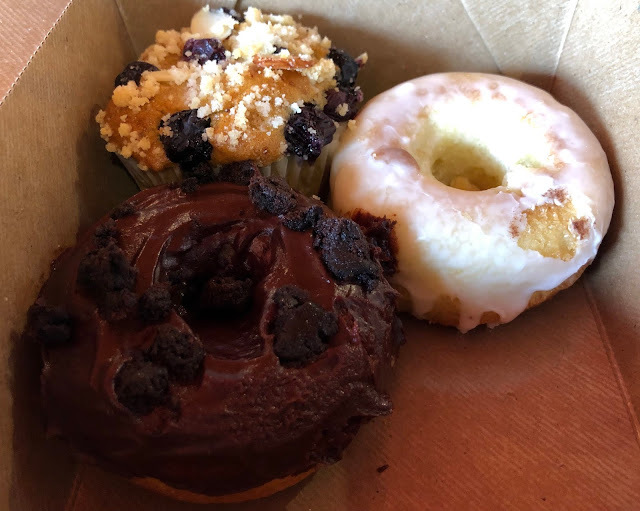 My gluten-eating family thought everything was good, but agreed that they liked the vanilla donut and the muffin the best. I regret not buying a brioche loaf before I left, because I was in the mood for toast and fried eggs this morning. 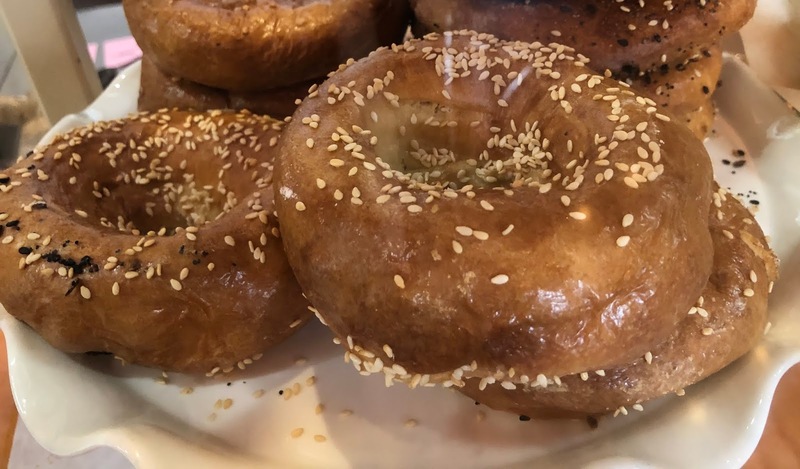 Gracie also had bagels and other varieties of bread available yesterday. 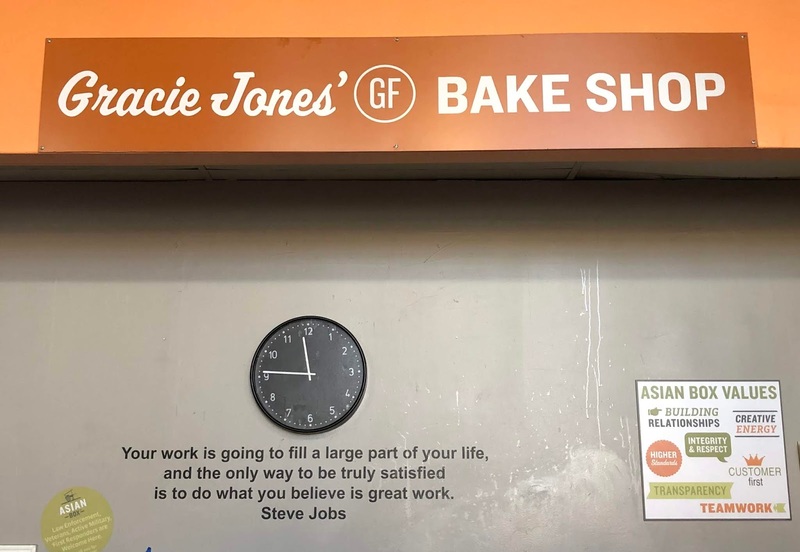 Until recently, it was hard for us to visit Gracie Jones' Gluten Free Bake Shop, because it was only open Monday through Friday, but it is now open Saturday from 10:00 to 3:00, so we can stop in on the weekend. 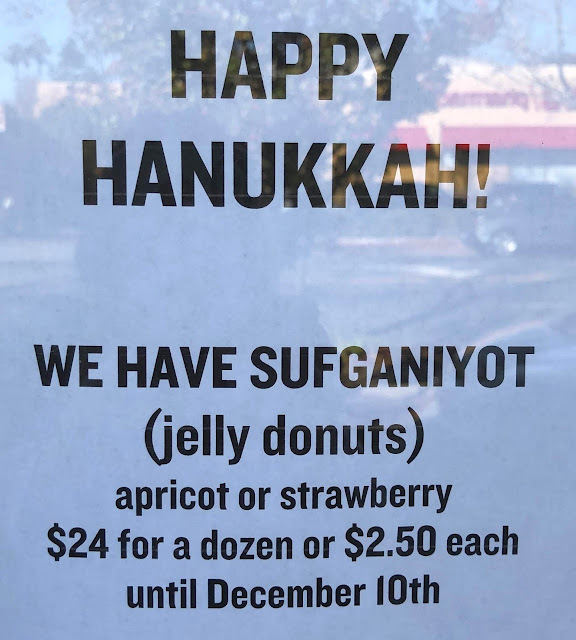 Our first visit was during Hanukkah, and we had a chance to sample Gracie's amazing jelly donuts. I am not a huge fan of strawberry jelly, but I will never pass up a fried donut that tastes like the yeast donuts I have missed for over ten years. They were so good, we regretted not ordering more. You can read more about Gracie Jones' Gluten Free Bake Shop here. Gracie does offer some pretty incredible looking custom cakes, which you can check out on her Instagram. 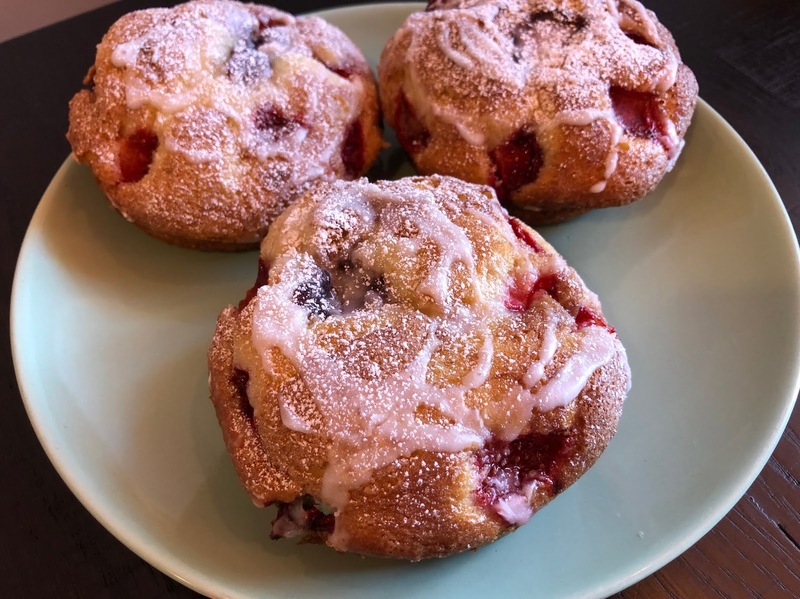 The bakery is now offering extended hours Monday to Friday from 10:00 am to 6:00 pm. I wish we lived closer, because we would definitely stop in more often. 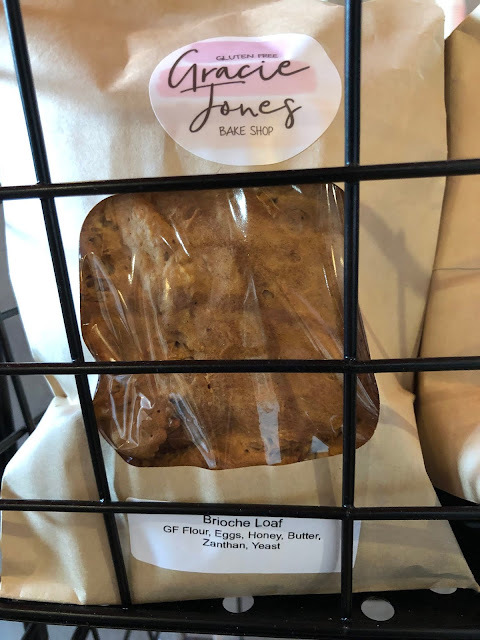 Earlier today, I had lunch at Gracie Jones' Gluten Free Bake Shop with my husband and daughters. 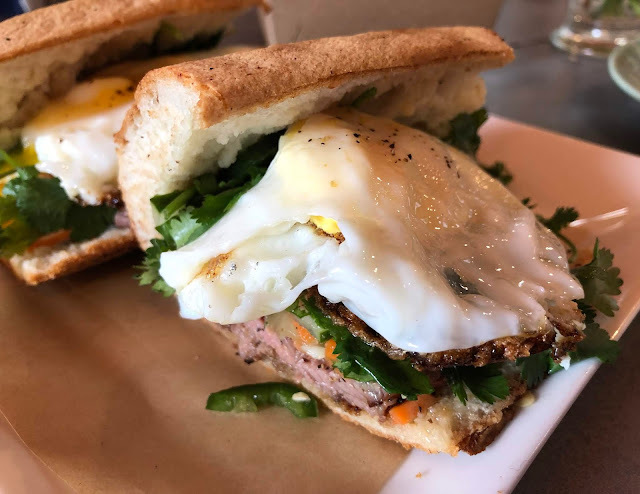 They all loved the grilled steak & egg bahn mi, and we also shared a lemongrass pork sandwich, which might be my new favorite. Next time, we will definitely try the 5 spice chicken and avocado bahn mi. 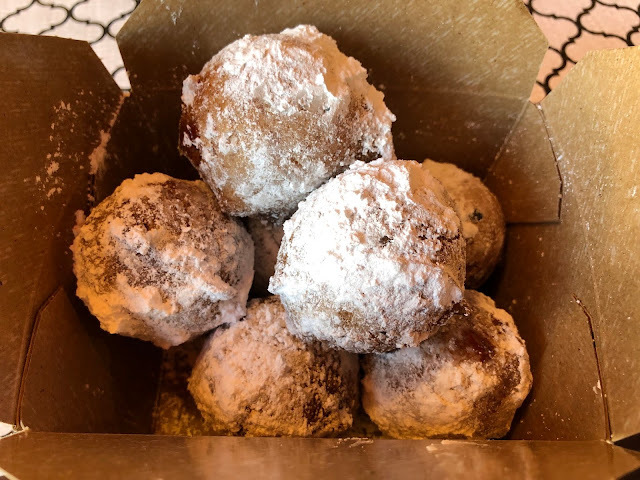 For dessert, we shared three strawberry fritters, which my whole family really enjoyed. We will definitely be back again soon! 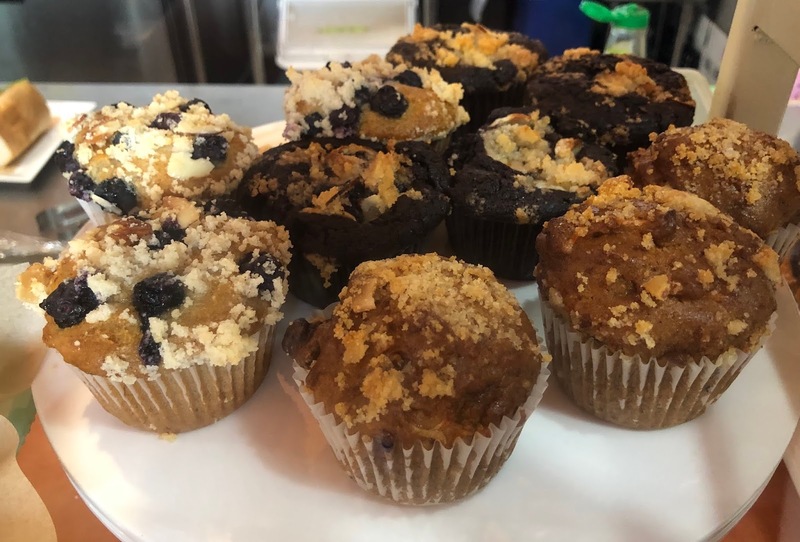 What are your favorites at Gracie Jones' Gluten Free Bake Shop?